Drexel University’s Alison Young, executive director of LeBow’s Institute for Strategic Leadership was one of 20 U.S. leaders from government, business and civil society selected as a 2017 Eisenhower Fellow. The fellows are some of the leading minds in education policy, consumer protection, agriculture, diplomacy, defense, education, health, media, immigrant integration and public service. As part of the fellowship, Young’s research will look at the lack of women in public sector leadership roles, both in elected and civil service, in G20 countries. According to EY’s “Worldwide Index of Women as Public Sector Leaders,” women constitute a significant part of the overall public workforce in many of the G20 countries, but remain under-represented at the top of the organizational chart. The index ranks Canada at number one for gender representation across the leadership of the G20 countries’ public sectors, but even at number one only 45 percent of its public-sector leaders are women. The United States comes in at number six with 34 percent. In China—where Young will travel as an Eisenhower Fellow—only 10 percent of women hold top public-sector positions. While in China from June 2-29, Young will explore the political environments and cultural norms that impede gender equality in the public sector. She will hold meetings with local, regional and national officials, who can help her research. The Eisenhower Fellowships organization will work with the China Education Association for International Exchange to set up meetings and create a rich experience for the 10 fellows traveling to China. The scholars will travel from Beijing to Shanghai while stopping to visit cities and towns across the country. As head of Drexel’s Institute for Strategic Leadership, Young sees the opportunity to use her findings to expand on the Institute’s Leading for Change program. Created in 2014, the 12-month program was created as an intensive and experiential leadership development program that strengthens leadership capacity and networks among public sector leaders. Thirty fellows are selected each year to complete the program for free through a Middleton Foundation grant. 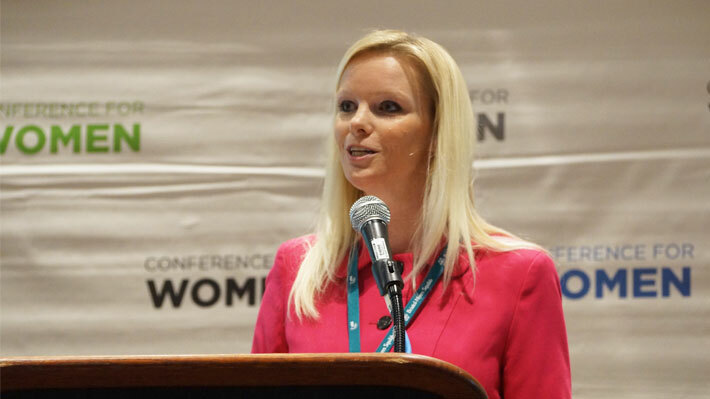 Young hopes to identify some of the barriers that prevent or inhibit women from serving so that she can ultimately create a program within Leading for Change that supports future women leaders in the public sector in the Greater Philadelphia region. “Research shows that in only four countries across the G20 women occupy even a third of public sector leadership roles, yet we are 51 percent of the population, and diversity is shown to improve innovation and creative problem solving,” said Young. Her own experience of being one of few women at the table, at the highest levels of government, gives Young an advantage. She is uniquely qualified to think about the potential for more equitable and innovative public policy that is more representative of the U.S. population if gender equity can be achieved in public-sector leadership positions. Before joining LeBow College in August 2013, Young served as vice president for external affairs at the National Constitution Center. Prior to that, she served as a special assistant to President George W. Bush and acting director of USA Freedom Corps. Prior to joining the Bush administration, she was vice president of the Public Forum Institute and a staff member on the U.S. House of Representatives Ways and Means Committee. Drexel LeBow has been selected to host a cohort from the prestigious Mandela Washington Fellowship for Young African Leaders for a second year. After 12 months of study, Drexel University’s LeBow College of Business’ first group of Fellows participating in Leading for Change: A Fellowship Program for Leaders in Public Service graduated in January 2015.